Essential skills (or "soft skills") are the personal attributes one needs to succeed in the workplace. Employers often say they can train the technical skills, but if an applicant doesn't have the essential skills they won't hire them. 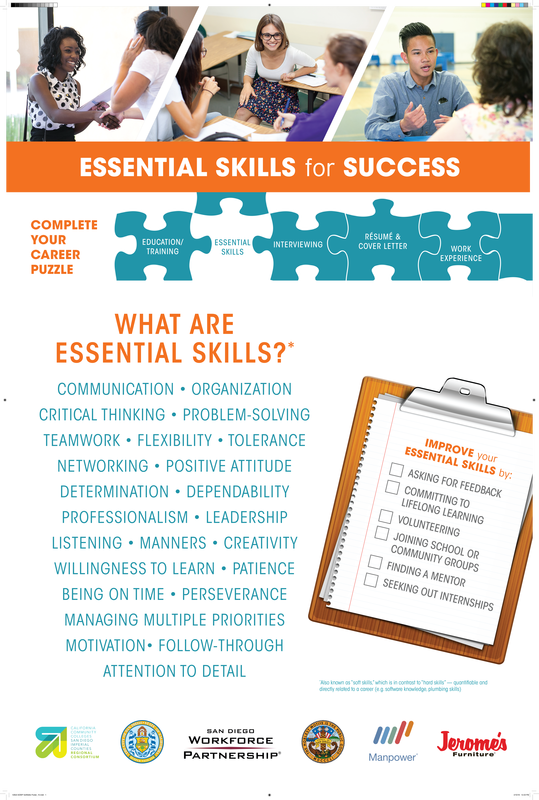 Notice that theses skills are not only "essential" to succeed in the world of work, but also in school and socially.